Cedric Walnut likes carpentry, and is very good at it! 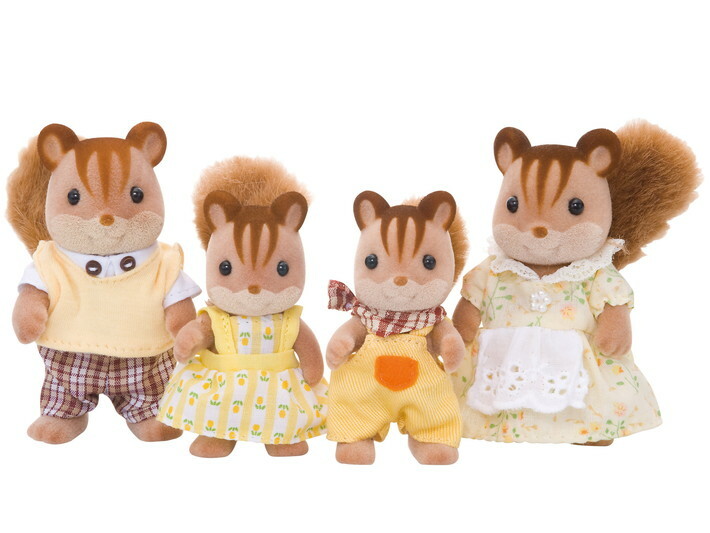 He's always coming up with unique things to make for other Sylvanians. He makes lots of surprising things that nobody has ever seen before. Only his family know that he's had a lot of projects that turned out badly too - he keeps those hidden in his store room! 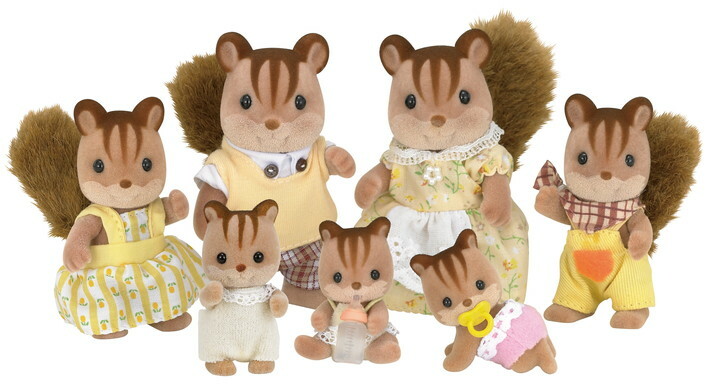 Yardley Walnut loves talking to the other Sylvanians. Her big belly laugh can be heard often and she's always got friends around her. She's very proud of her bushy tail with its shiny fur, and makes sure to brush it every night before she goes to bed. 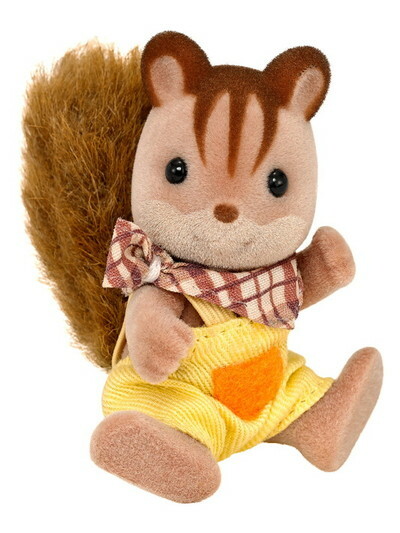 Ralph Walnut is full of energy and loves to climb trees. When his little brother Ambrose's balloon got caught on a tall tree, Ralph climbed up and got it back in the blink of an eye. 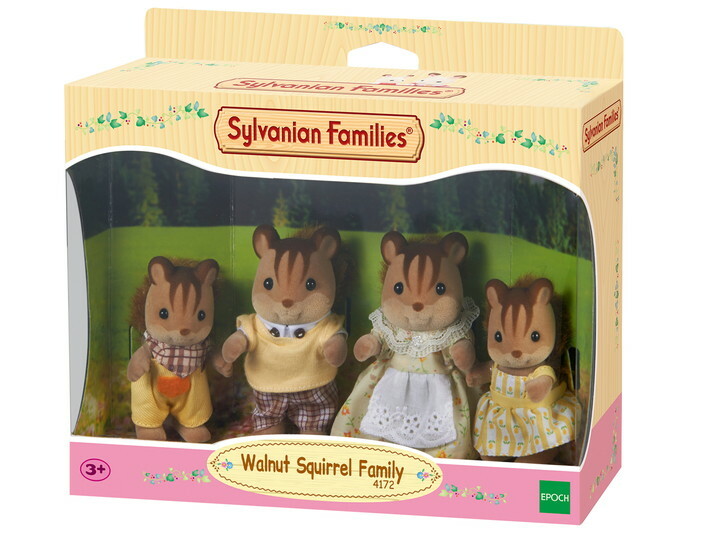 He says he's climbed every tree in Sylvanian Village, but nobody knows if it's true. Saffron Walnut loves yellow things. Her room is decorated with the yellow things she's collected, from yellow flowers to yellow ribbons. 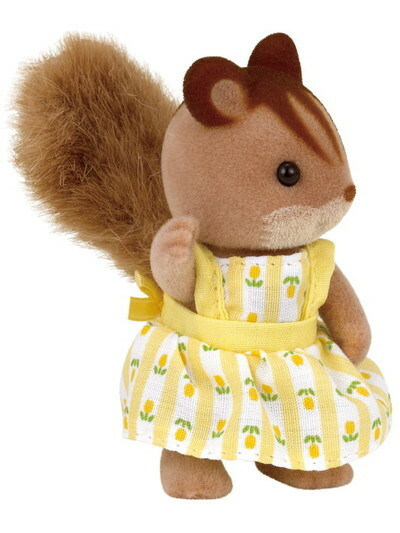 Her favourite thing in her collection is her yellow photo album, which is full of precious memories. The only yellow thing she doesn't like is lemons - they're too sour for her!